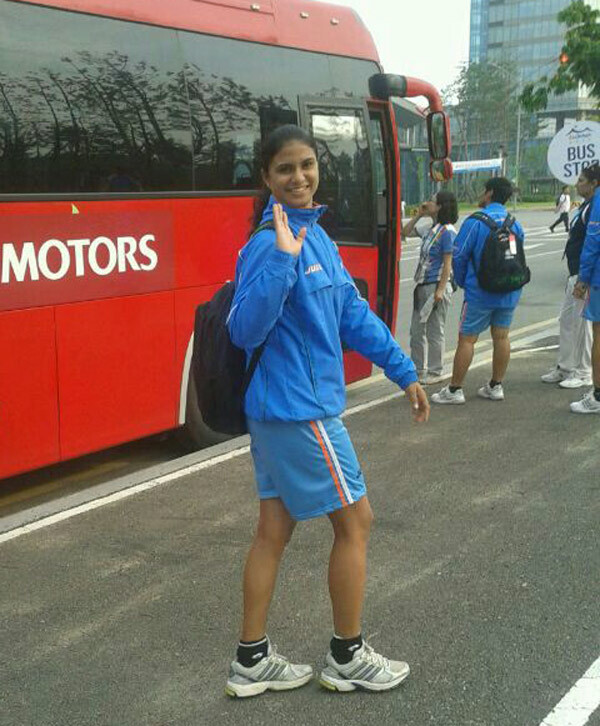 Home » Sports » These 17 sportspersons just won the Arjuna Award. And they're not cricketers. Surprising as it may seem to some, given the country's focus on cricket, it isn't the only sport played in India. Sportspersons from other disciplines have to wait their turn, but 29 August, National Sports Day is the one day a year where the spotlight shines equally brightly on them. Here are the 17 men and women who are receiving Arjuna Awards from President Pranab Mukherjee at the Rashtrapati Bhavan this year - a recognition for the blood, sweat and tears they put in to bring glory for the country. Dipa Karmakar, born on 9 August 1993, won a bronze medal in vault at the 2014 Commonwealth Games. She is the first Indian women gymnast to do so in the history of the Games, and only the second Indian in gymnastics as a whole. PR Sreejesh, born 8 May 1988, is India's No.1 hockey goalkeeper. He is currently the vice-captain of the senior men's team, and has been representing the national team since 2006. He starred in India's gold medal win at the 2014 Asian Games, which also helped the country qualify for the Rio Olympics. Manjeet Chhillar, born 18 August 1986, is from Nizampur, India's kabaddi capital. 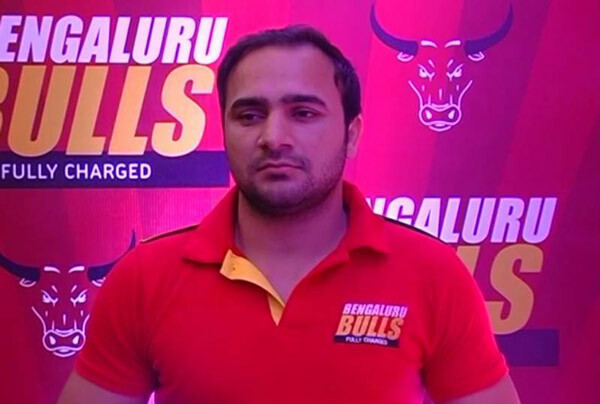 He is a two-time Asian Games gold medallist and also leads the Bengaluru Bulls in the Pro Kabaddi League. Born on 28 November 1987, Nerul resident Abhilasha Mhatre was part of the India's gold-winning women's kabaddi team at the 2014 Asian Games. 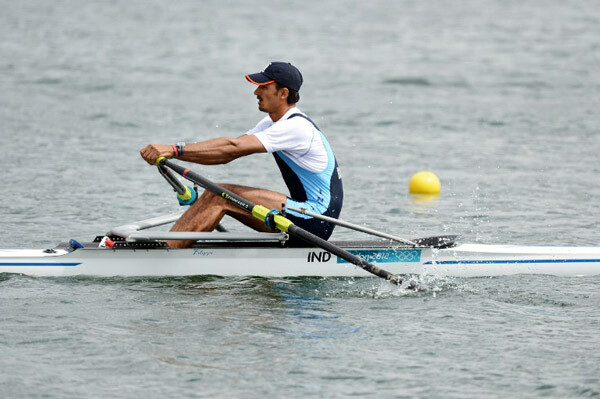 Sawarn Singh Virk, born on 20 February 1990 at Dalelwala Mansa in Punjab, competes in the single sculls rowing events. At the 2012 Olympics in London, he reached the quarter-finals, while at the 2014 Incheon Asian Games, he won a bronze medal. 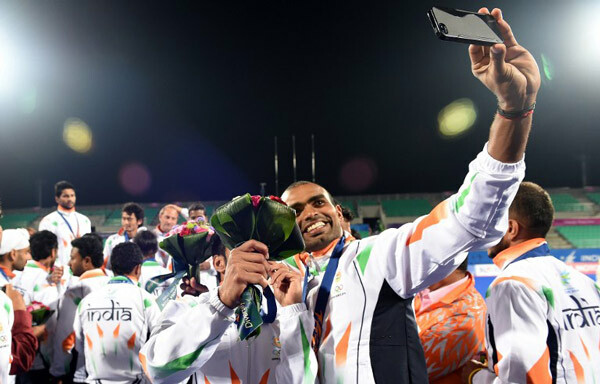 Anup Kumar Yama, born on 1 September 1984, won two bronze medals at the 2010 Asian Games in Guangzhou, China. He is the only Indian to win a medal in the roller skating world championships. 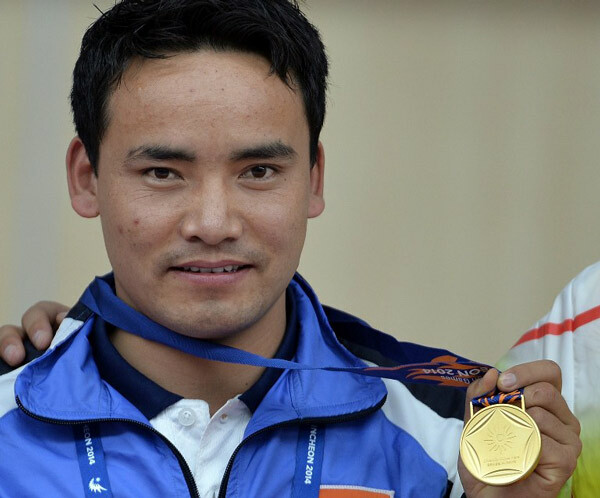 Jitu Rai, born on 25 August 1987, is an Indian shooter of Nepalese origin. The Armyman competes in the 10 metre air pistol and 50 metre pistol events. He won a gold at the 2014 Commonwealth Games and a gold and a bronze at the 2014 Asian Games. In addition, he also won the World Championship silver medal, four World Cup medals including one gold, and was the first Indian to qualify for the Rio Olympics. He would've been a favourite for the Khel Ratna if it weren't compulsory to win the Arjuna Award beforehand. At the age of 22, Sathish Kumar broke the Games record en route to his gold medal winning performance at the 2014 Commonwealth Games in Glasgow. 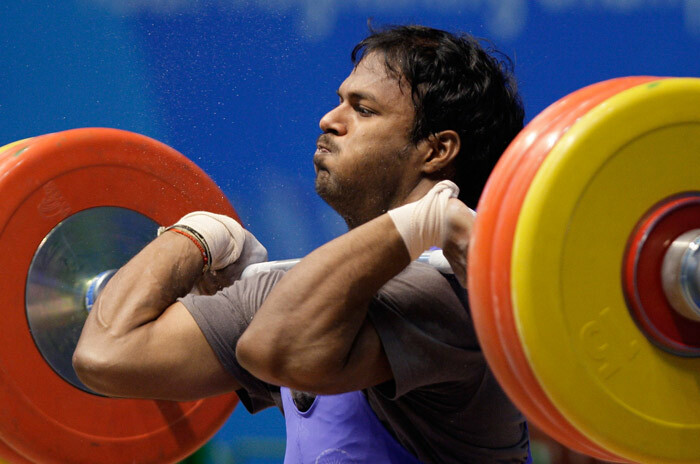 Entering the Games as a relative unknown, Sathish won gold in the 77 kg category and set a new Commonwealth record. 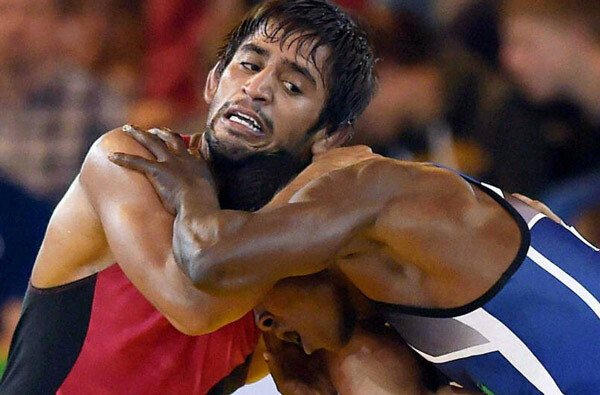 Bajrang Kumar, born on 26 February 1994 in Jhajjar, Haryana, is a freestyle wrestler. 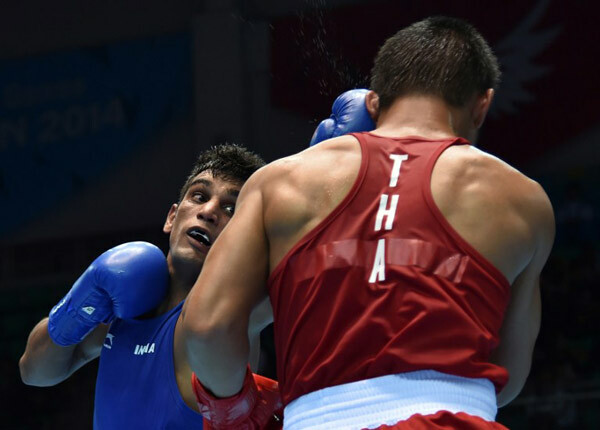 Competing in the 61 kg category, he won a silver at both the 2014 Commonwealth Games and the subsequent Asian Games. He has also qualified for next month's World Wrestling Championship. Born on 20 November 1989, Babita Kumari won the silver medal in the 51 kg freestyle category at the 2010 Commonwealth Games. She bettered her performance to win gold in the 2014 edition. Her sister, Geeta, won India's first gold in women's wrestling at the 2010 Commonwealth Games. Her family is the subject of Aamir Khan's next movie, Dangal. There aren't many wushu players in the country. 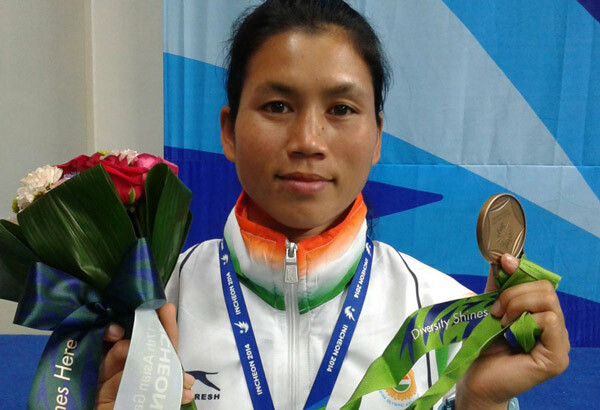 But Sanathoi Devi, a resident of Yairipok Top Chingtha village in Thoubal district of Manipur, won a bronze medal at the Asian Games last year in the women's Sanda 52 kg category. 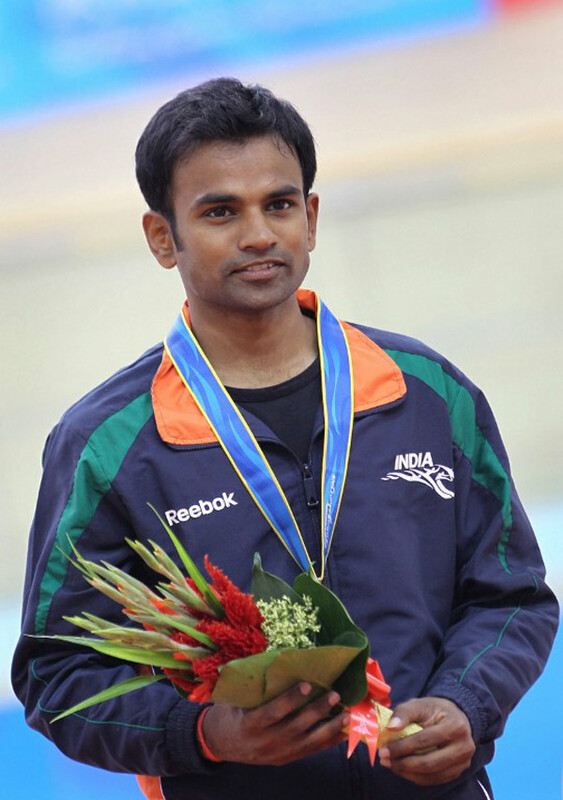 Sharath Gayakwad broke PT Usha's record for the largest number of medals won by an Indian at a multi-discipline event when he won six medals at the 2014 Asian Para Games in Incheon. A 26-year-old Army man from Pune, Sandeep Kumar wanted to be a shooter initially. But archery turned out to be his calling. 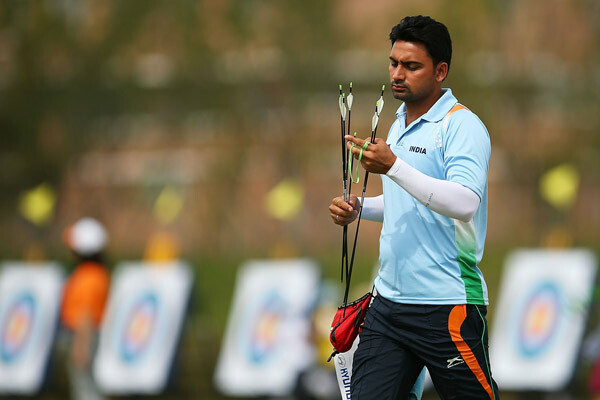 Sandeep, along with teammates Abhishek Verma and Rajat Chauhan, pulled off a remarkable feat when they beat a fearsome Korean team to win the men's compound archery event at the Asian Games last year. 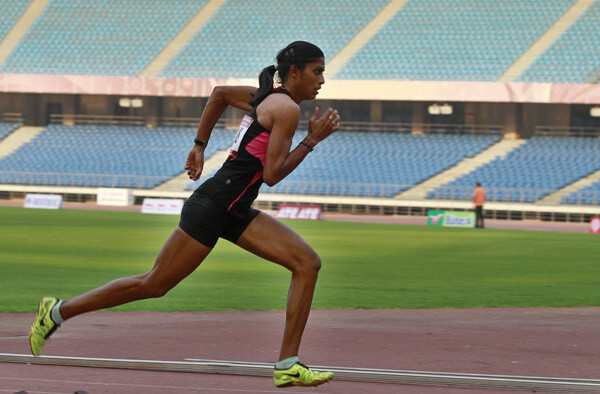 Sprinter MR Poovamma was born on 5 June 1990 in Kodagu, Karnataka. She participated in the 2008 Beijing Olympics and is currently the Asia No.2. At the Asian Games last year, she won bronze in the 400m and was part of the Indian quartet who bagged gold in the 4x400m relay. Only 25 years old, she is one to watch out for in the future. Kidambi Srikanth, born on 7 February 1993, is on top of his game. He's the highest-ranked Indian men's badminton player at No.3 in the world. He beat Chinese legend Lin Dan in an epic final to become the first Indian to win a Super Series Premier Men's title last year. Mandeep Jangra, born on 19 May 1993, is an Indian amateur boxer. He won a silver medal at the 2014 Commonwealth Games in Glasgow last year. And finally, the maiden cricketer on the list. 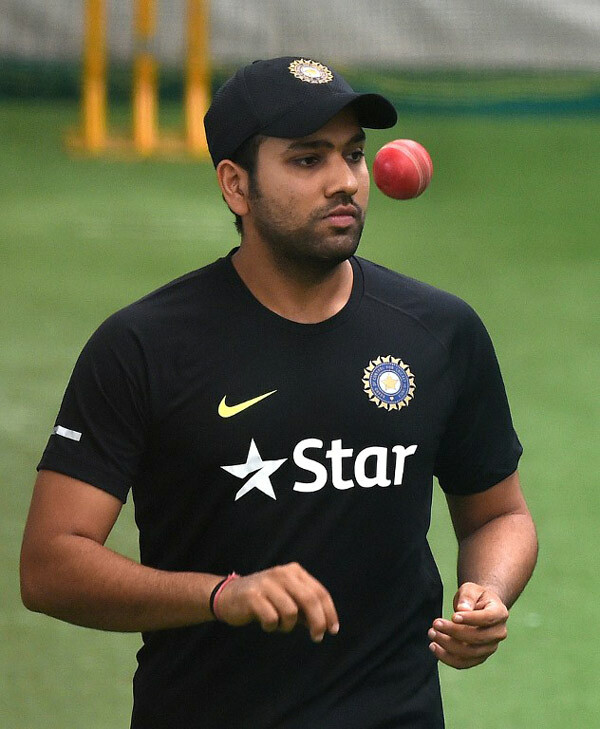 Rohit Sharma, born on 30 April 1987, is a right-handed batsman for the Indian cricket team. He also captains the Mumbai Indians in the Indian Premier League. He holds the record for the highest individual score in an ODI - 264, which he scored against Sri Lanka at Eden Gardens, Kolkata, last year. He's the only player to hit two double hundreds in ODIs.